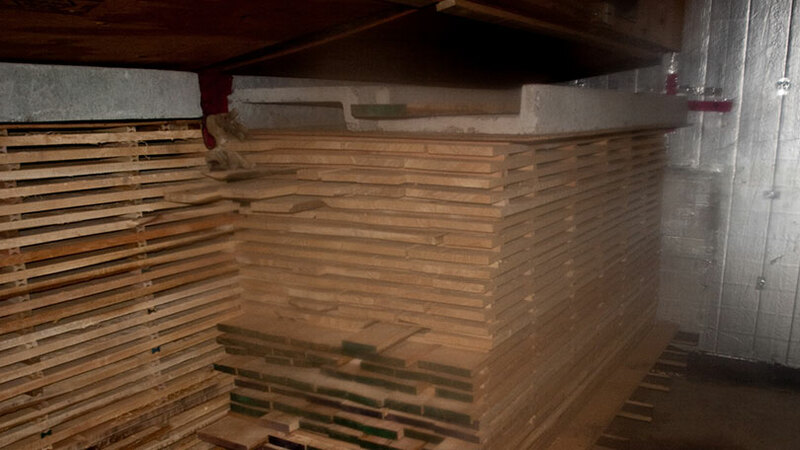 Here at Hamilton Wood Products we kiln dry our wood. When trees are first harvested and cut, we call it “green” lumber because it has not been dried or treated. Green lumber has a very high moisture content, and if it is used, it will tend to warp and twist as it dries and contracts. Therefore, it is most important to dry the lumber before offering it for sale. We specialize in drying wood in a controlled environment, as it allows the wood to contract without warping. Understandably kiln dryed lumber is of better quality and tends to be slightly more expensive.